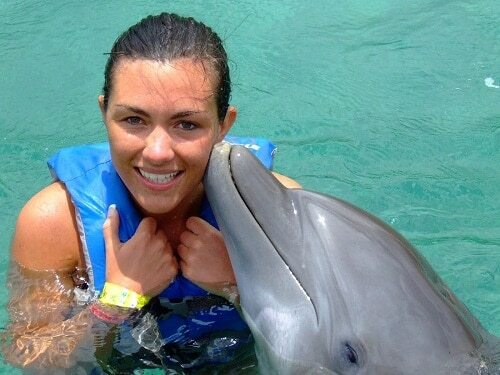 Have you ever wanted to swim with dolphins, explore ancient Mayan ruins or try whitewater rafting? Western Caribbean shore excursions offer all this and more, on a backdrop of turquoise seas and powder-soft sand beaches. Get ready to launch into adventure during your Carnival cruise, with our picks for 10 of the best shore excursions in the Western Caribbean. When you cruise to Grand Cayman, you’ll experience incredible wildlife encounters on shore excursions. The Stingray City Sandbar is, in itself, a stunning location. 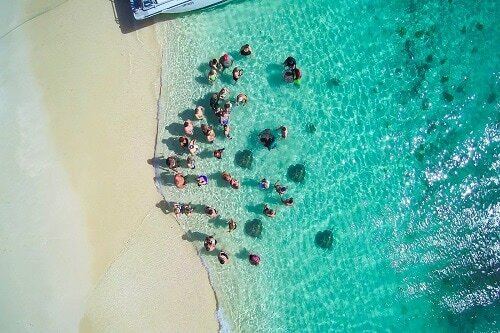 However, it’s also a place of excitement, offering crystal-clear, shallow waters filled with friendly stingrays for you to feed and interact with. On the same trip, you’ll visit Dolphin Cove to swim with the cheeky marine mammals. 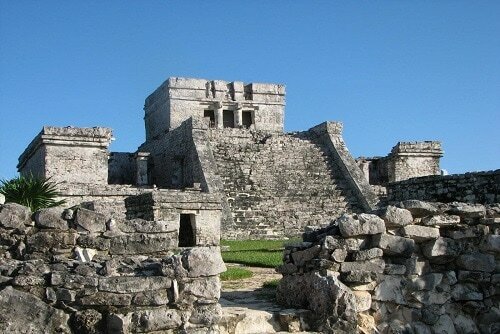 The ancient city of Tulum rests high on a cliff, overlooking the azure Caribbean Sea in Cozumel. On a guided tour of the UNESCO-listed site, you’ll explore the mysteries of the Temple of the Frescos, the Temple of the Descendent God and the largest building, the famous El Castillo. Below the ruins, you’ll find a postcard-perfect beach to cool off after a day of fascinating historical discoveries. 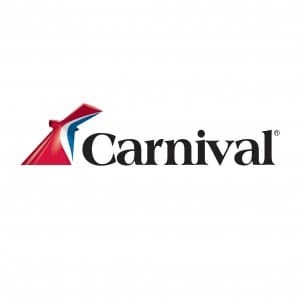 A cruise to Grand Turk puts you in the midst of reefs teeming with vibrant coral gardens, tropical fish, turtles and wild Atlantic Stingrays. On a Reef and Rays Beach Getaway, you’ll get to meet the stingrays and take photos of your playful interactions. After reef snorkeling, sit back and relax with Caribbean tunes, sway in a hammock or get active with a game of volleyball at the Reef Shark Bar & Grill on the beach. Mahogany Bay cruises delight, highlighting some of the best Roatán beaches such as those found on Maya Key. On a shore excursion to this private island, options for fun abound. Stroll through pristine gardens, snorkel on the Mesoamerican coral reef and shop for local crafts. 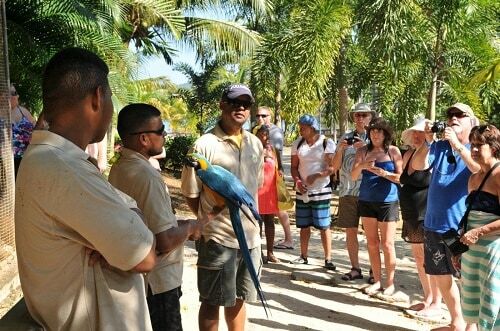 Visit with monkeys and reptiles at the Rescue Center and immerse in Mayan history at the Interpretation Center and Mayan Ball Court. Chichen Itza is one of Mexico’s most famous attractions, located on the Yucatán Peninsula. The 2.5 square mile site includes incredible structures like ball courts, temples and the 80-foot stone Pyramid of Kukulcan, which depicts the Mayan calendar. 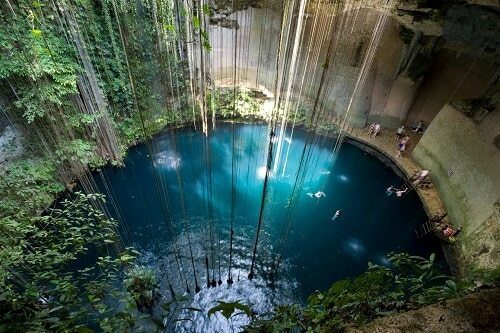 After a guided excursion, go from a journey into the past to the natural beauty of Cenote Ik Kil, for a swim in sacred waters. The Belize River Valley is blessed with historic villages and lush tropical rainforests. The Lamanai Mayan Ruins & River Boat Safari shore excursion takes you into the heart of the region. You’ll cruise the New River Lagoon on a riverboat to spot deer, iguanas and local bird species. Then, get ready to explore Belize’s largest Mayan site, Lamanai. 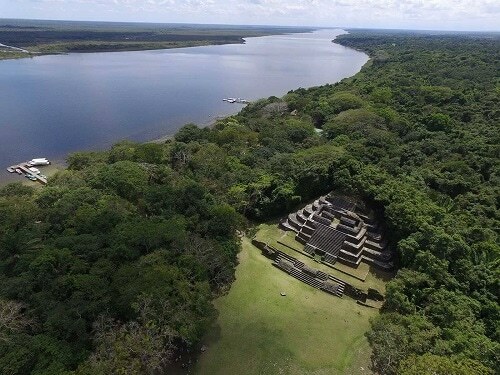 It’s hidden in the depths of the rainforest, with majestic architectural history dating back to about 1500 B.C. Are you taking a family cruise to Key West? 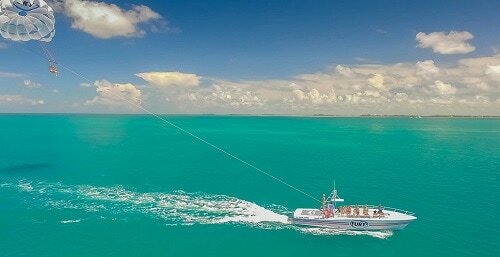 If so, the kids are going to love experiencing a parasailing shore excursion – and so will you! This is your opportunity to get a bird’s eye view of Key West’s spectacular coastline, while experiencing thrills per minute. You’ll sit on a tandem bar to enjoy the experience in pairs. Then, you’ll launch straight from a deck, to soar high above the Atlantic Ocean in complete safety and total awe of the views. If you’re a thrill-seeker, the Big 3: Sky Explorer, Canopy and Bobsled trip is the one for you, when you cruise to Ocho Rios or Montego Bay, in Jamaica. On the adventure of a lifetime, you’ll hop on the Sky Explorer chairlift and travel through the forest canopy, to a height of 700 feet. What comes up, must come down and you’ll do so for 3,280 feet, while riding an exhilarating Jamaican bobsled. Still want more? 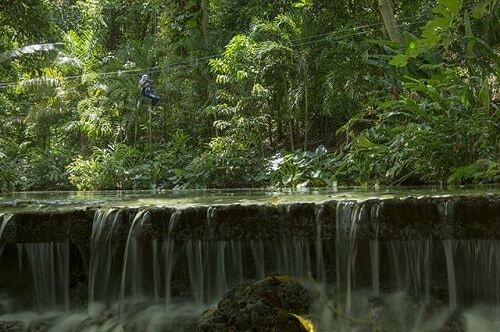 Fly through the trees on a zipline to land on platforms boasting spectacular forest views. For the young and young at heart, a Maya Adventure Park and Beach Break excursion helps you create family cruise vacation memories to last forever. 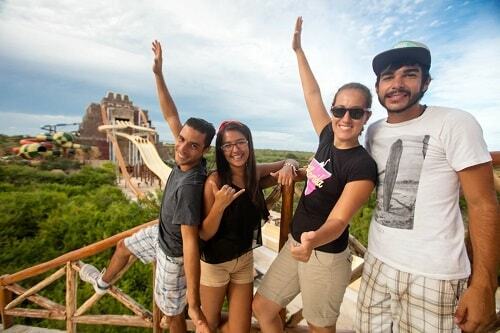 Maya, Lost Mayan Kingdom is an adventure park in the Costa Maya. Here, you’ll speed down thrilling waterslides, ride the Kukulcan Zip Coaster, challenge yourself on rope courses and relax on the River Expedition. Afterwards, you’ll enjoy the sandy beach and vibrant atmosphere at the Beach Escape Beach Club. 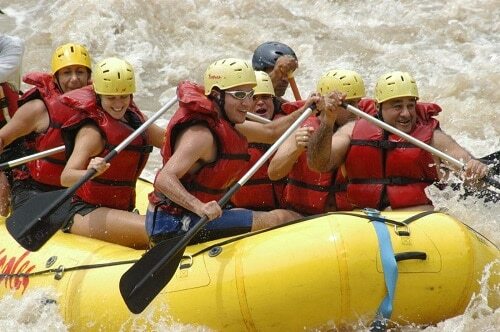 Ready for some Class III whitewater rafting action? Limón is home to the dam-controlled Reventazon River, where you can tackle rushing rapids and big waves with the safety of experienced guides. Along the way, catch your breath paddling through calm pools and drifting by wildlife-filled rainforests. No doubt you’ll work up a serious appetite, which you’ll get to satisfy afterwards with a scrumptious Costa Rican lunch.